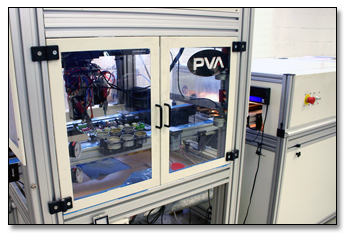 For more information about our PCB Conformal Coating Capabilities click here to contact us. AMS Electronics, offers our customers Conformal Coating as an option. Conformal Coating is used for PCB assemblies that will be exposed to harsh environments. AMS can apply acrylic or polyurethane coating based on our customer’s specifications and an understanding of the environment in which the product is expected to operate. AMS Electronics applies very thin layers of Conformal Coating material which is designed to protect the surface of the printed circuit card. The layers are applied directly onto the circuit card or the substrate and acts as a protective coating form harsh environments. Conformal Coating is typically used when the end product which contains the printed circuit card is to be exposed to a harsh environment. This environment can include, dirt, moisture, temperature and humidity extremes, and corrosion to name a few. The coating can also reduce the dendritic growth and electromigration which could occur between the conductors. Encapsulation involves the electronic assembly to be impregnated inside the compound with the help of a reusable mold. Typically the reusable mold is made out of hard to adhere to materials such as Teflon or Silicone. The purpose of encapsulation is to create a protective “shell” around the assembly. Encapsulation provides resistance to shock and vibration, as well as creating a seal against moisture, solvents, and corrosive agents. It also is used to aid with electrical insulation, flame ret ardency and heat dissipation. Potting is the proves of partially or completely filling or embedding an enclosure with a compound for the purpose of providing resistance to shock and vibration, as well as creating a seal against moisture, solvents, and corrosive agents. Potting compounds are also is used to aid with electrical insulation, flame ret ardency and heat dissipation. To learn more about Conformal Coating, Encapsulation, Potting, and additional services offered by AMS Electronics, your end-to-end electronics provider can offer. Please call our Sales Department.